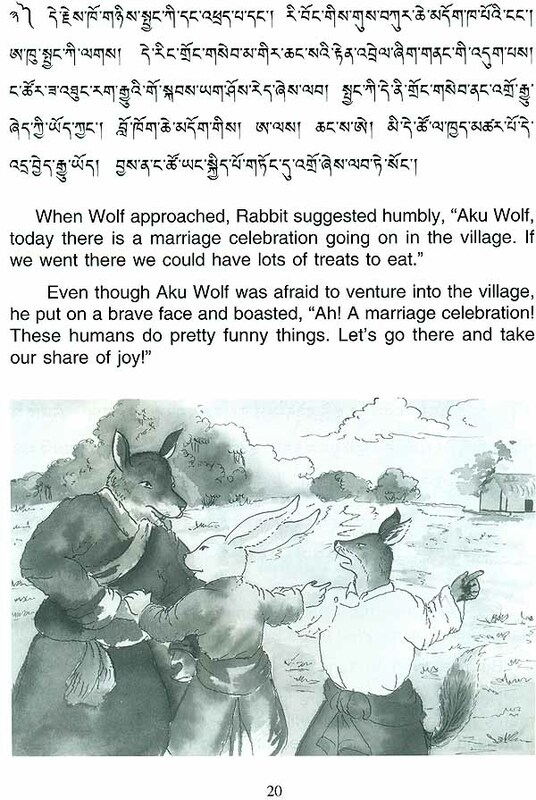 Ribong, meaning rabbit in Tibetan, but best translated as Clever Rabbit, is one of the most popular characters in Tibetan folk tales and there are many tales recounting his adventures. He is clever and thought of as an emancipator of the weak. But there is also a naughty side to him. And although small, Ribong challenges stronger animals in the wild. Yet, through his wit and intelligence, he triumphs over them. 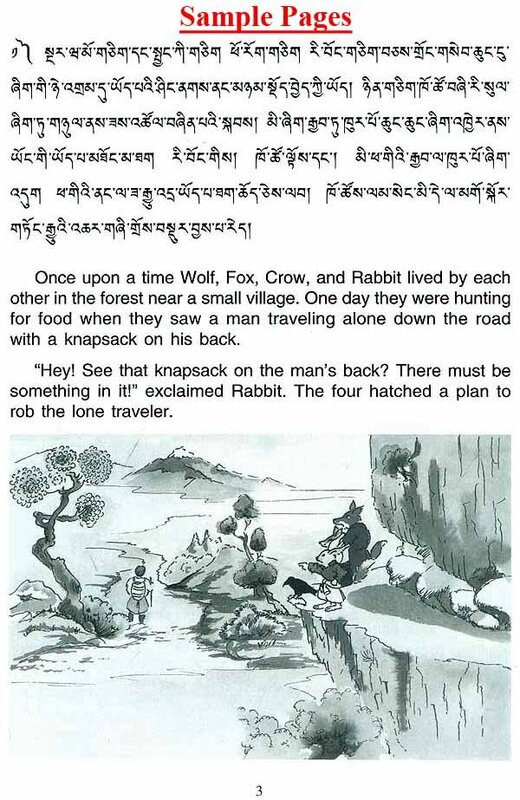 There are many Tibetan folk tales describing how Ribong became shoto, cleft lip. 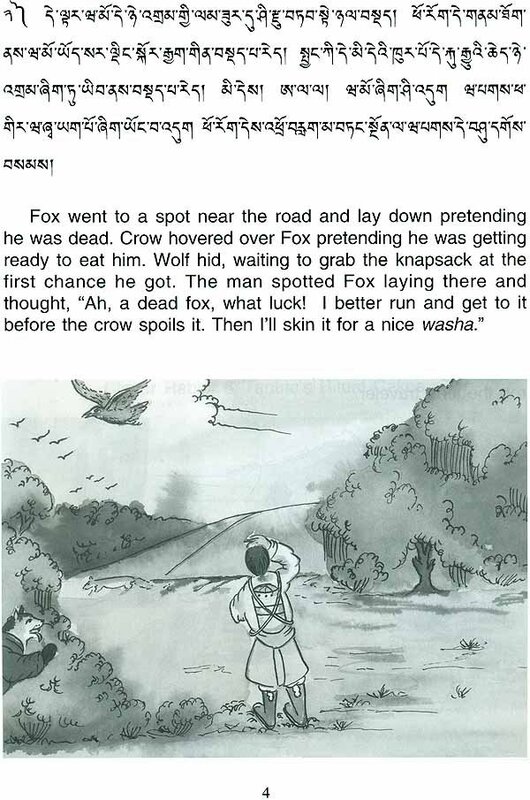 Out of many such tales that my mother told me during my childhood, I present here two. They illustrate how Ribong subdues his adversaries and how his mischief gets him shoto. Through these tales, my mother implied that however small and weak, through wit you can confront the world, but too much mischief would get you a shoto, like rabbits. In order to thank my mother for these beautiful tales, I have made an effort to write them down in both Tibetan and English as recounted by her to me. I hope children around the world will enjoy reading this book just as I have enjoyed hearing my mother tell these stories to me. I must acknowledge the editorial inputs of Dr. Lauren Alderfer of the American Embassy School and Mr. Kalsang Khedup of Phayul. I sincerely thank them for their help.